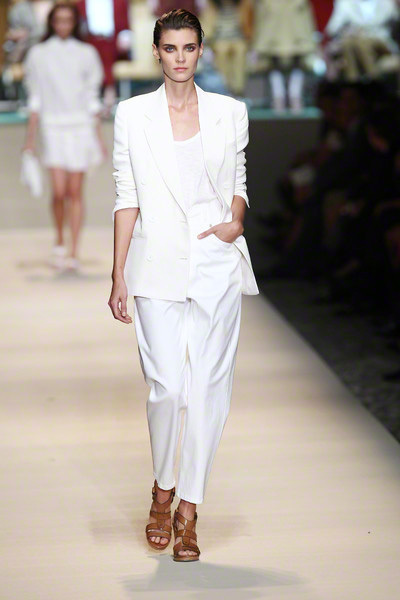 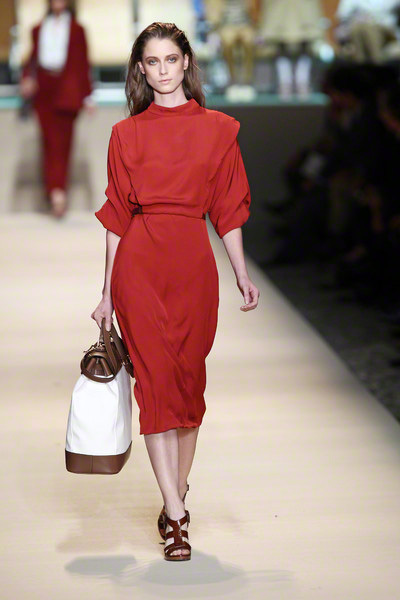 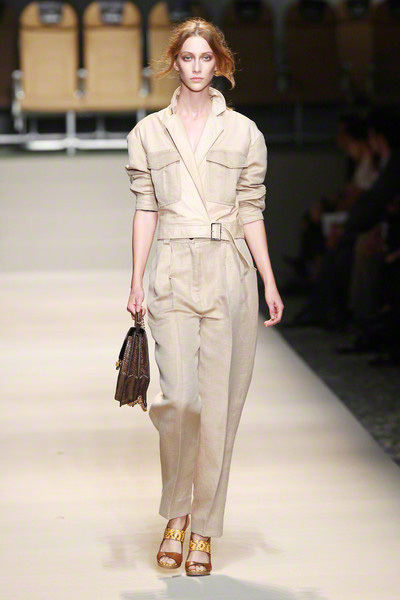 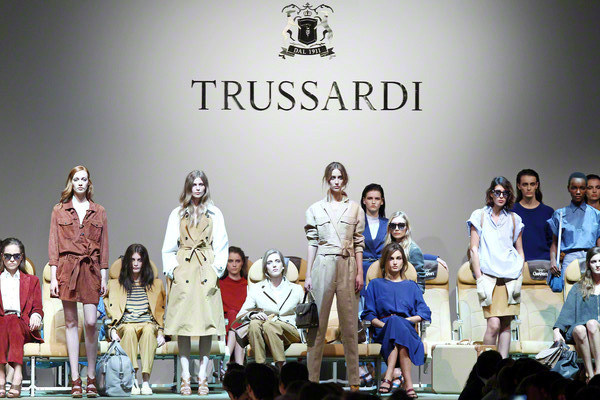 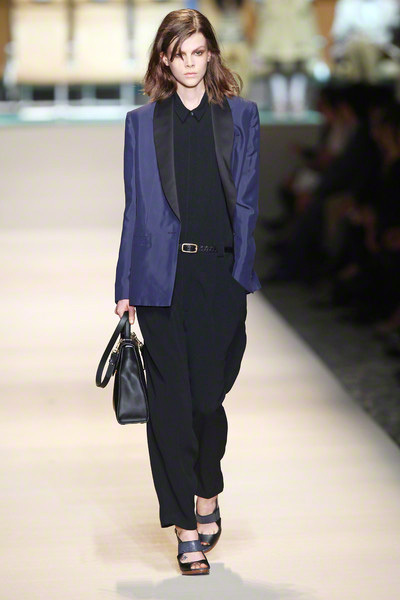 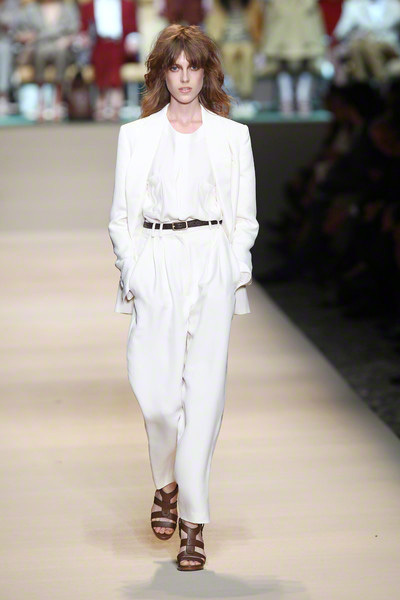 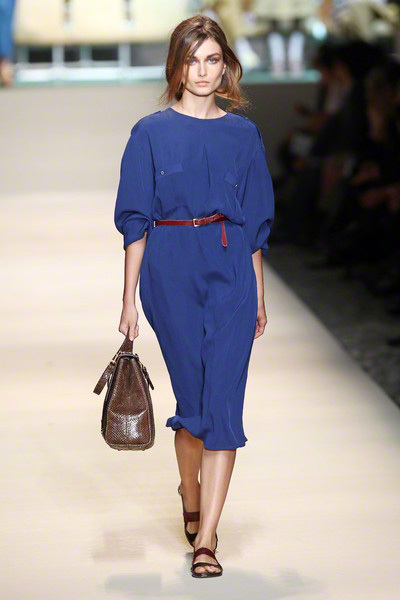 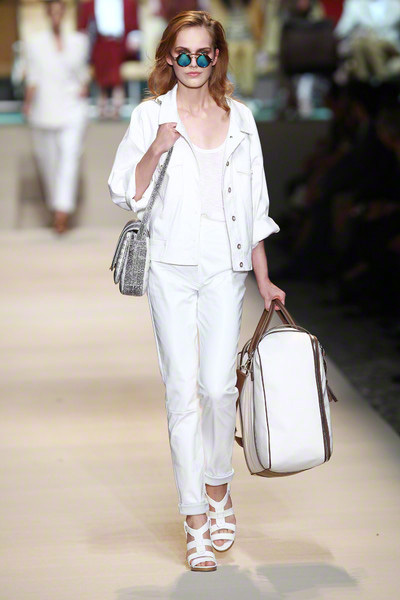 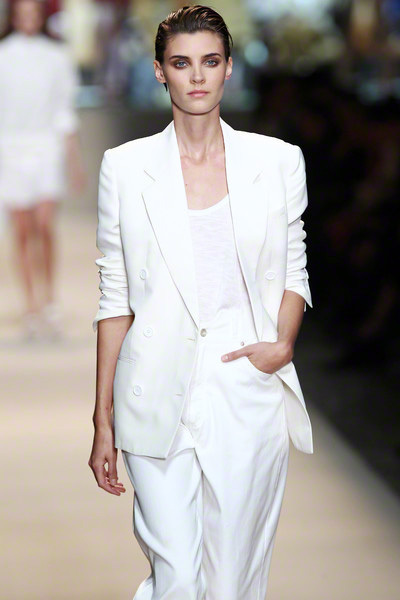 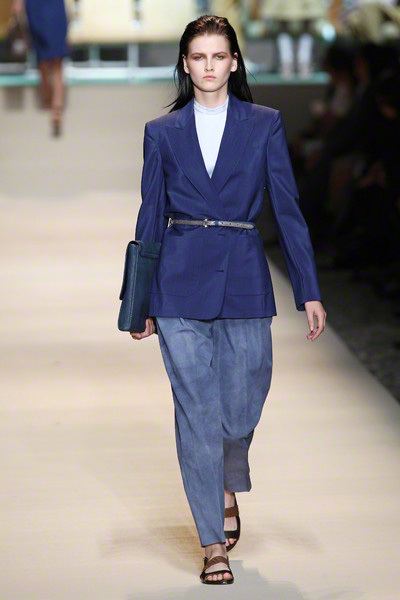 The spring/summer Trussardi collection was one of the first designed by brand’s new creative director Umit Benan. 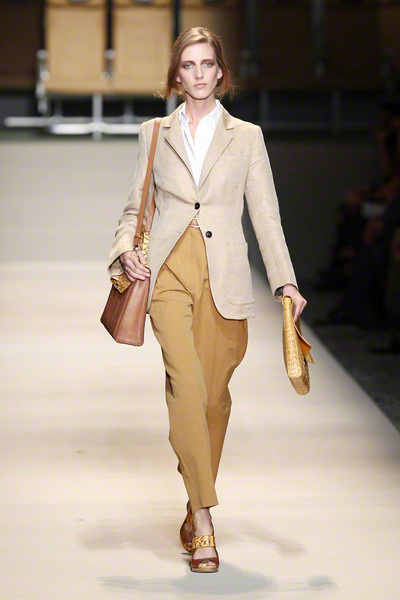 And for a newcomer, who has more experience in menswear, it was a good start. 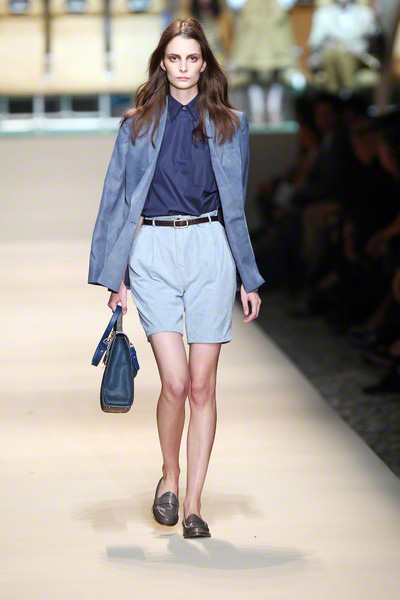 Looks were clean, wearable and – indeed – somewhat menswear inspired. 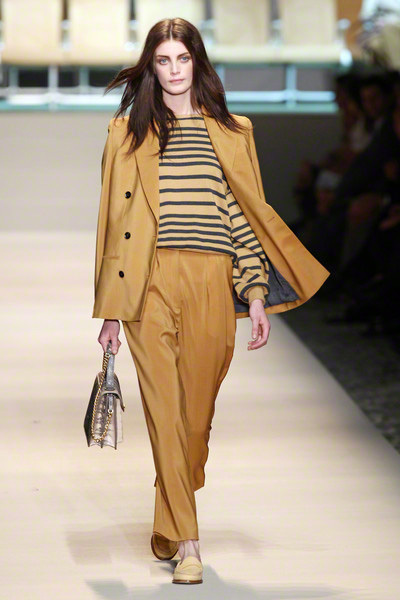 Oversized jackets were worn with pleated trousers, men’s shirts were mixed with high wasted pants and unisex items like jumpsuits, trench coats and tunic dresses were presented on the runway. 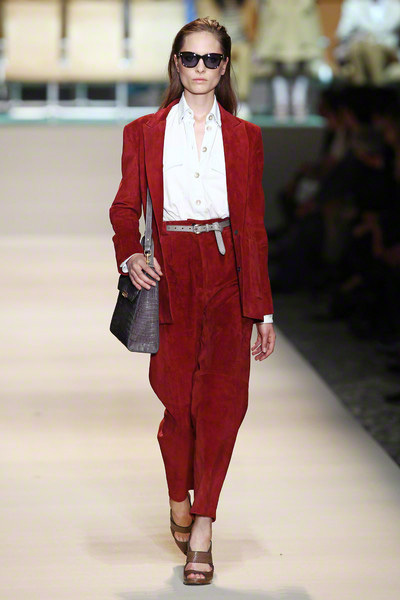 But even though a lot of the designs could’ve come straight out of a man’s closet, the models never looked too boxy/masculine. 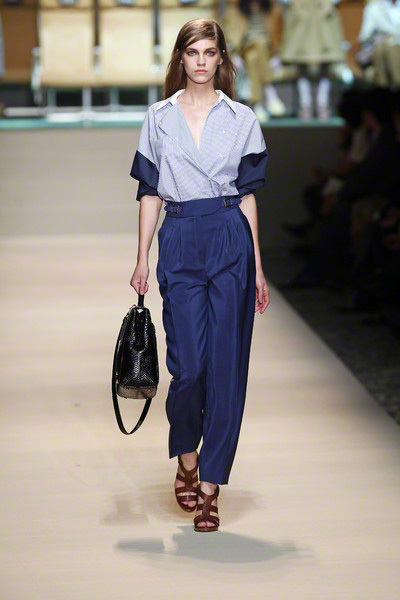 That is, thanks to the waist belts, elegant sandals and beautiful leather bags. 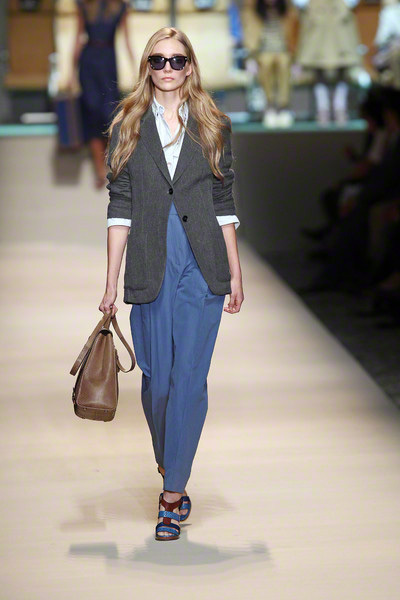 Every look seemed perfect according to today’s trends. 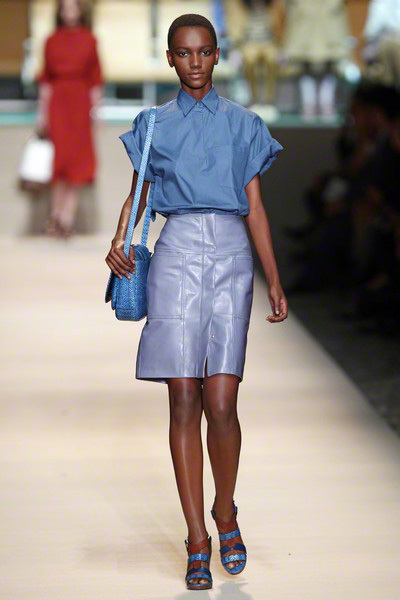 There weren’t any surprises, but you could tell every piece of clothing was beautifully made. 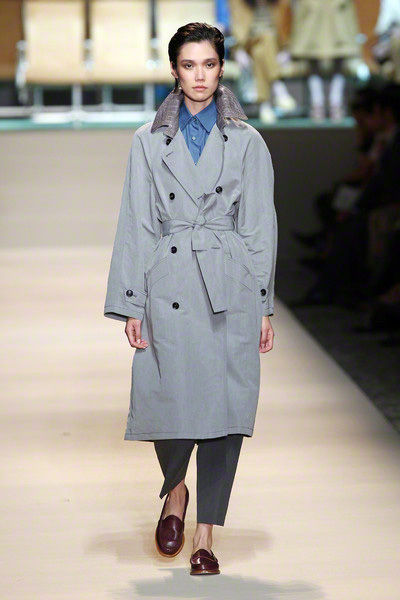 Kudos for Benan, he’s off to a good start!